April 12th is set to be a busy session at the apiary. Mufeed and Nabaa will be talking about Beekeeping in Iraq and if the weather is kind Jo will be leading a practical session on marking and clipping queens. Easter doesn’t prevent a working party being held at Hatch End on Sunday at 11:00 as an added incentive there will also be an Easter Egg hunt! There are plenty of chocolate eggs going to be given away. Judy adds that the working Party is compulsory ... just don’t think you can turn up just for the eggs! The formal 2 weeks for the Beginners course ended with the weather (only just) warm enough to peek inside a hive or two. Next up is Artificial Swarms and Diseases on 10 May. This session is open to all members. In the meantime, all are welcome to the apiary every Sunday for bee chat and a look in the hives if the sun shines. There are still several Spring Bee Auctions held annually around the country and if nothing else, they give an idea what an overwintered colony is worth each year and indirectly what the winter survival rates were like. If they include live bees, they will have a schedule for delivery of lots and inspections by the local RBI or SBI before the auction opens to the public. Some of the well established ones are at Lincoln 28th March, West Sussex 25th April and Gloucester 9th May. Next training day for members is on Sunday 8th March at 11:00 when Bill Fitzmaurice will be talking about wax preparation. A few places are left to book on the Middx Federation Food Safety Course, not far from us in Greenford on the 11 April. See "read more" below for latest details. Harrow in Leaf Show including the HBKA Annual Honey Show has been incorporated in the new "Headstone Village Show". It remains at the Headstone Manor Museum but will be only one day, the August Bank Holiday Monday. The produce and honey shows will be run by Harrow in Leaf and HBKA, but the entertainment and other stalls will be run by Harrow Council. Beekeepng is often shared with gardening and allotmenting. But how many are aware that Harrow has a seed company? And they have events at the seed warehouse? 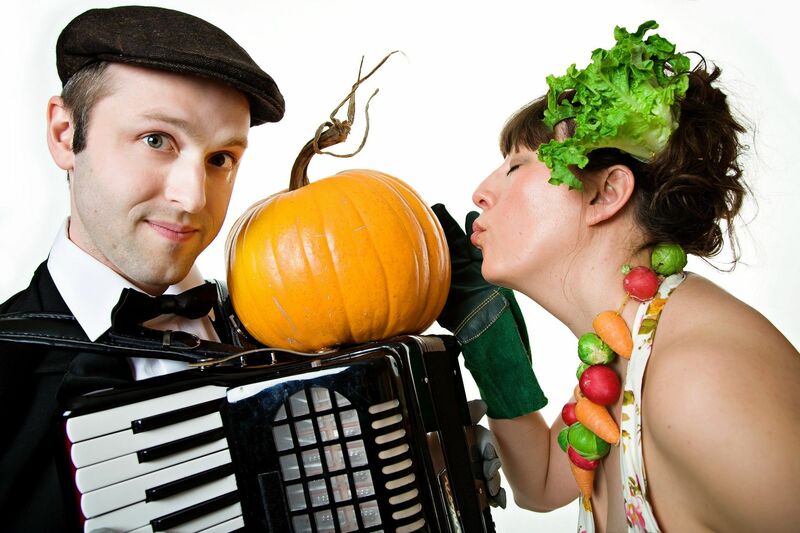 On the 19th March Jo Stephenson and Dan Woods are performing comic songs about gardening at Franchi "Seeds of Italy". Read more about Gardening Songs? John Van Dyken and Danuta Loveday will be leading our session on Sunday 8th Feb, starting 11:00. John and Danuta are skilled in the use of our microscopes and camera. They have volunteered their time to demonstrate the use of the microscopes in detecting Acarine and Nosema in our bees. Come along and see how we can detect these conditions as an aid to understanding the health of your bees. Acarine is also known as the tracheal mite because it breeds in the adult bee's trachea. Dissection of the bee and examination of the trachea can show mite infestation. At the recent BBKA 2015 ADM the Executive agreed to investigate the regulation of honey and contamination with sugar and other residues. They are currently seeking any information and examples from members, if anyone is aware of incidents, they can contact Dr David Aston, Chair BBKA Technical and Environmental Committee.